Here are some of my top tips for using social media properly. Never post for the sake of posting. Yes, keeping active on social media is important but not spamming your audience is crucial and always having a purpose to your post is a must. Have a personality. Make your posts sound personal and not robotic, this comes down to the wording of your posts and the times you post. Try to limit jargon where possible because not all the people looking at your profile are going to be familiar with the meanings of the words. However using some jargon can help as it shows your technical knowledge, you need to find the right balance. Reply to all comments and mentions through a retweet, like or a share. This would show that you are always active and that your followers can reach you via your social media channels. Know what your competitors are doing. Through Twitter you can create lists of people you follow so you can filter whose tweets you can see in this list. This is the easiest way to track what your competitors are doing. Use images and videos where you can as they gain the most engagement with followers. Keep a record of how many followers and likes you have over all of your social media channels. Have a basic day-to-day agenda which you have to stick to so you can stay active every day on your platforms. Get involved with viral hashtags and the business hour such as ‘#NorthEastHour’. Stick to the 80/20 rule which is 20% of your content should be promotions and 80% should be interaction with your followers. Here are some examples of what not to do. 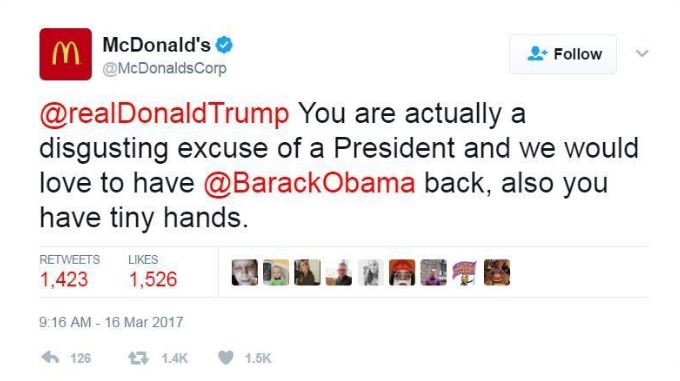 McDonalds were a little too open in their feelings about the Amercian election result. They later deleted this tweet. 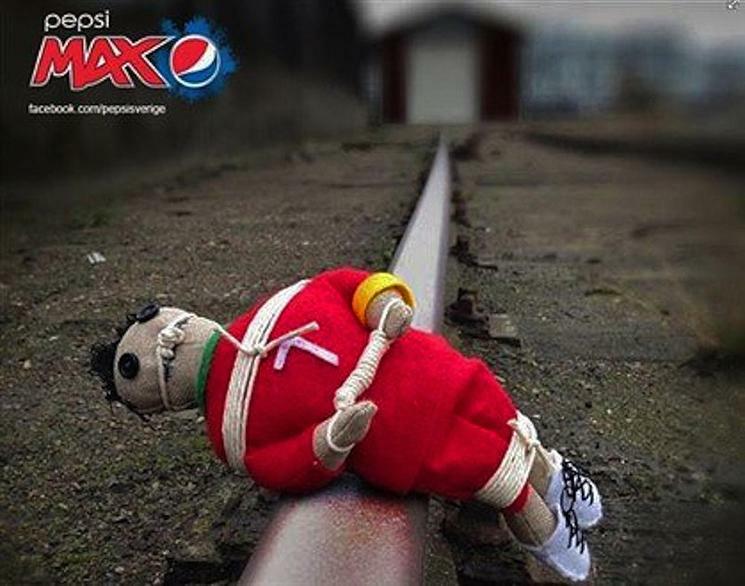 Pepsi ran Facebook ads of a Cristiano Ronaldo-alike voodoo doll in various painful poses. The superstar fought back by creating a 100,000 strong anti-Pepsi group in a single day. Pepsi backtracked and apologised. Please get in touch if you want to know more about how we can help you with your social media.